On Wednesday November 5, 2014 Commissioner Nigro swore in 5 Honorary Battalion Chiefs. Along with Dennis, Steve Buscemi was also sworn in. 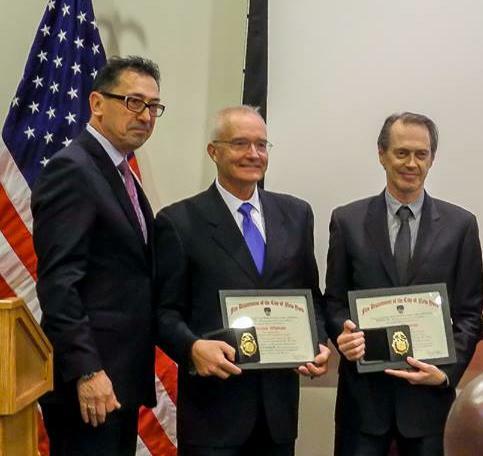 Dennis' contributions to the FDNY were recognized by the department. Dennis is the official Honor Legion Photographer, and is very involved with fund raising. Dennis is the Editor of The Fire News, he is also a member of the Bell Club.